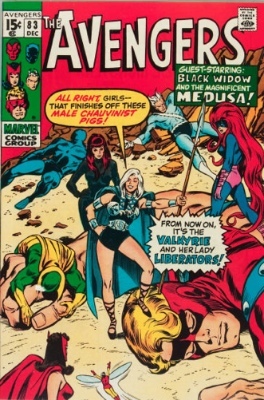 Valkyrie made her first appearance as a villain, a simple disguise used by the Enchantress to convince some other female heroes to join her and rise up against the male-dominated Avengers as The Lady Liberators. Later, the character was connected to a woman named Samantha Parrington, a Hulk villain. A short while after that, the character was rewritten as a superhero character named Barbara Norriss, who was the Valkyrie that most will remember, a member of the Defenders. She rode the Black Knight's old winged horse, Aragorn, and had significant fighting skills with sword, spear, and fist. Eventually, it was revealed that the character called "Valkyrie" is in fact Brunhilde, an Asgardian chosen by Odin to lead a group of Valkyries. Brunhilde's spirit had been used or somehow implanted in various women at various times, and would later appear in various other forms and incarnations, always with her enchanted sword, Dragonfang, at her side. Vandal Savage is an immortal human, born in 50,000 BC. As a caveman, Vandal was bathed in radiation by a crashed meteor, giving him incredible intelligence and superhuman attributes. Vandal forms the Illuminati, and in their first mission, they destroy Atlantis. It is also said that Vandal was an important historical character in crime, including having a hand in killing Julius Caesar, and terrorizing London as Jack the Ripper. 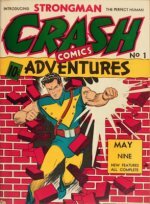 Vandal later prefers behind-the-scenes crime, and develops several plots to overthrow the Justice League of America, including creating Velocity 9 – a highly addictive drug. Vandal's sworn enemy is Immortal Man. Vanisher is a mutant with the ability to instantly teleport to any place he can think of. In his first scheme, Vanisher steals secret Department of Defense plans from the US Government, and threatens to sell them to Communists unless his ransom is met. 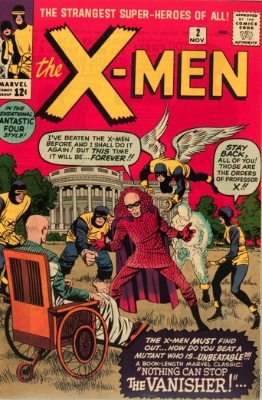 The X-Men defeat him, and Professor Xavier induces amnesia on the villain. Vanisher regains his memories and continues on as a villain for several years, before reluctantly joining X-Force. Venom is a Symbiote, an alien species that must bond with a host to survive. Once bonded, Venom grants its host amazing abilities at the cost of its mental stability. 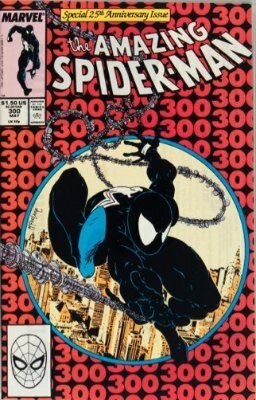 Some of Venom's "gifts" include increased strength and speed, telepathy, shape shifting, and most of Spider-Man's abilities. Over the years, Venom has possessed several people, including Spider-Man, Eddie Brock, Mac Gargan, and Ann Weying (the bride of Venom). Arnold Wesker is a deranged and insane man who uses a puppet named Scarface to commit crimes and kill people. Wesker is completely "controlled" by his puppet, and Scarface handles all the dirty work. Scarface is mentally and physically abusive towards Wesker. Later, Wesker is killed by the Tally Man. However, since the New 52 rewrite, Wesker is alive. 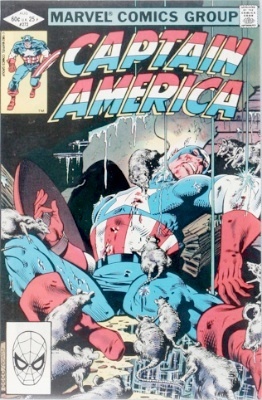 Edward Whelan was a geneticist working for Baron Zemo when one of his experiments turns him into a cannibalistic humanoid rat - Vermin. Vermin begins kidnapping women of the street and eating them in the sewers. He is stopped by Captain America and Spider-Man. Most often, Vermin acts on the behalf of other villains, such as Kraven the Hunter and Mephisto. Vermin has the ability to control rats and dogs and has extremely high senses. Violator is the oldest and most powerful of five hell-born demons. He takes the form of a short, overweight clown. Although Violator can be killed, he is always resurrected by Satan. Violator is strictly forbidden from killing Spawn. Jordan Stryke is a criminal who forms the costumed alias of Viper. Together with Eel (his brother) and Cobra, they form the Serpent Squadron. 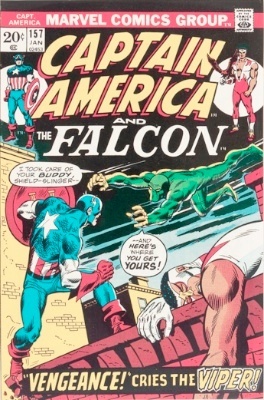 The Serpent Squadrons seeks to kill Captain America, but they fail. Later, Madame Hydra kills Viper and begins using the name. Virman Vundabar is a New God of Apokolips and member of Darkseid's Elite. Vundabar is brilliant military strategist and capable of creating elaborate death traps. 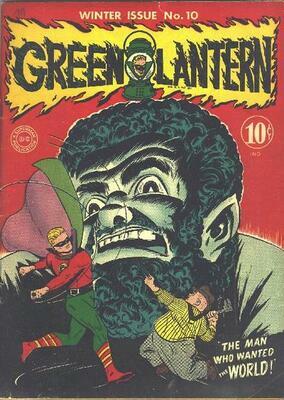 He lusts for power, often putting him at odds with his peers and Darkseid. 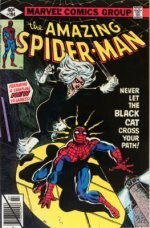 Get Cash For Your Comic Books! 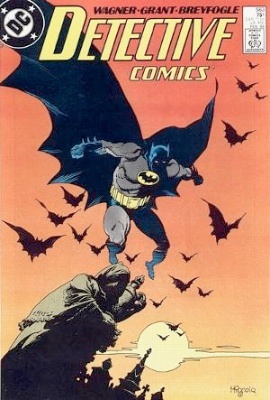 FREE comic book appraisal today. if you want to cash in. "I had a great experience with SellMyComicBooks.com. They were very upfront with me during the process of selling my comics to them. "They were quick to respond to me and give me feedback through the entire experience with them. "I felt very comfortable dealing with them. I would definitely use them again and will refer everyone to them." 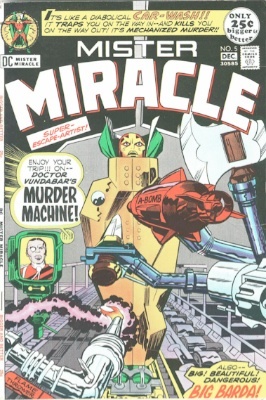 Built by Ultron-5 from spare android parts left over from the constriction of the original Human Torch, and with brain patterns copied from the then-comatose Simon Williams (Wonder Man), The Vision entered Marvel Comics as a villain, unwittingly doing the work of Ultron-5. He soon betrayed his creator, and joined the Avengers as their first android member. 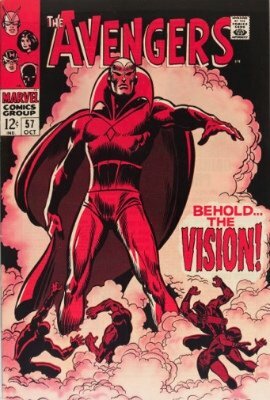 Getting his power from the sun, The Vision can fly, shoot solar blasts, and control the density of his body so that he can become immaterial enough to pass through solid objects, or as heavy and dense as a neutron star. His well-publicized relationship and marriage to Scarlet Witch kept him as an important character in The Avengers, of whom he is still a member. Adrian Toomes was once a wealthy businessman and inventor, until cheated by his partner. Using his special harness to fly, Toomes becomes the evil and begins a life of crime to earn money and take out his anger. 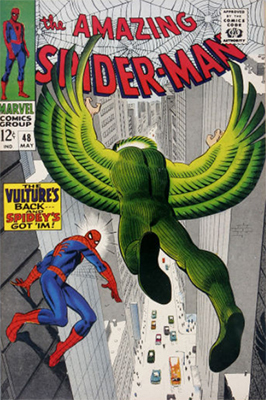 Vulture first encounters Spidey during a bank robbery, and proves himself to be a capable Spider-Man villain. 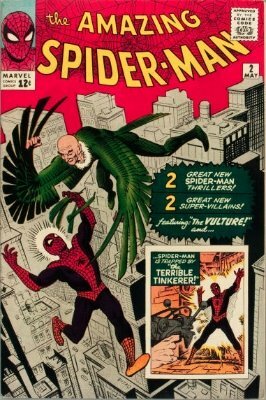 However, Spider-Man is able to beat the Vulture, and he is incarcerated. During Vulture's prison stay, he reveals the location of a replica Vulture costume to his cellmate, Blackie Dargo. Later, Vulture escapes and begins his life of crime and struggle against Spider-Man. 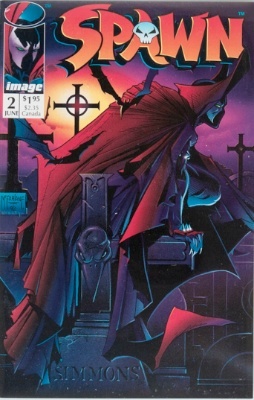 Blackie Dargo was the cellmate of Adrian Toomes (Vulture), who learned his secrets about the Vulture. Using Toomes' inventions, Blackie becomes the new Vulture while Toomes is still in jail. Later, after helping Toomes' break out of jail, Blackie is beaten by Toomes, who wants to prove he is the one and only Vulture. Blackie is sent back to jail.